Joint Seat Allocation 2018 (JoSAA 2018) counselling rules for the session 2018-19 have been released. The registration starts on June 15, 2018. Joint Seat Allocation Authority (JoSAA) conducts the joint counselling for admission to the IITs, NITs, IIEST, IIITs and other GFTIs. JoSAA consists of representatives from Joint Admission Board (JAB) 2018 representing the IITs and the Central Seat Allocation Board (CSAB) 2018 representing the NITs, IIEST, IIITs and other GFTIs. Each and every candidate who satisfies one or more of the following criteria is eligible for participation in Joint Seat Allocation. Read more about performance in Class XII (or equivalent) examination for JEE (Advanced) here. Must have passed Class XII (or equivalent) examination with Physics and Mathematics as compulsory subjects along with one of the Chemistry/ Biotechnology/ Biology/ Technical Vocational subject. The candidate should have passed each subject individually as well in the Class XII (or equivalent) examination. Read more about performance in Class XII (or equivalent) examination for JEE (Main) here. Must have passed Class XII (or equivalent) examination with Mathematics as one of the subjects. For the purpose of seat allocation, qualified candidates are partitioned into different categories based on (birth) categories, presence or absence of disability and nationality. On the basis of such a partition, each candidate is assigned a category tag (GEN, GEN-PwD, OBC-NCL, OBC-NCL-PwD, SC, SC-PwD, ST, ST-PwD, Foreign). For candidates who have qualified for JEE (Advanced) 2018, the category of the candidate as entered in the database provided by the JEE apex board (which conducted JEE (Main) 2018) will be considered based on document verification by the Joint Admission Board 2018. For candidates who have NOT registered for JEE (Advanced) 2018, category tag is assigned based on the candidate’s declaration in the JEE (Main) 2018 registration portal. State code of eligibility means the code of the state from where the candidate has passed Class XII (or equivalent) examination by virtue of which the candidate becomes eligible to appear in JEE (Main) 2018. If a candidate has passed Class XII (or equivalent) examination from one state but appeared for improvement from another state, the candidate’s state code of eligibility will be from where the candidate first passed the Class XII (or equivalent) examination and NOT the state from where the candidate has appeared for improvement. It is important to note that the state code of eligibility does not depend upon the native place or the place of residence of the candidate. For Indian nationals passing the Class XII (or equivalent) examination from an institution abroad, the state code of eligibility will be determined on the basis of permanent address in India as given in the passport of the candidate. The state code of eligibility of OCI/PIO passing Class XII (or equivalent) examination in India is at par with Indian nationals. OCI/PIO passing the Class XII (or equivalent) examination from an institution abroad are eligible for Other State quota seats or All India quota seats only. PEC Chandigarh Home State (HS) Candidates whose Home State is same as the State in which the Institute is located. Other State (OS) Candidates whose Home State is different from the State in which the Institute is located. Supernumerary seats will be added in such a manner that each academic program will have at least 14% females in 2018. Female candidates will be eligible for a seat from Female-Only pool as well as Gender-Neutral pool of a program but a female candidate will compete for a seat in Gender-Neutral pool only after she fails to get a seat from Female-Only pool. Thus it’s different from “reservation” since every female candidate first competes for a seat in Female-Only pool and then only competes for a seat in Gender-Neutral pool. Also, it will be made sure that there’s no reduction in the number of available seats for non-females compared to the non-females admitted in 2017. Admission in Gender-Neutral pool will be done on pure merit basis without any gender bias/preference. Any seat left vacant in the Female-Only pool will not be allocated to any non-female candidate since Female-Only seats are meant for females only and include supernumerary seats that are specifically created for improving gender ratio beyond the actual intake/capacity. Candidates need to visit the JoSAA portal and login using their JEE (Main) 2018 Roll Number and password. Filling-in of choices on the online portal is free of cost, i.e., candidates are NOT required to pay any fee. A candidate may be eligible for seat allocation based on one, two or all three examinations viz., JEE (Advanced) 2018, JEE (Main) 2018 Paper-1 (B.E. / B.Tech.) and JEE (Main) 2018 Paper-2 (B.Arch. / B.Planning). Even for candidates who are eligible to participate in Joint Seat Allocation based on any two or all three of the above examination, only ONE seat from among the choices filled-in is made available. Candidates should take advantage of the mock seat allocations and choose as many academic programs as possible in the order of preference. Candidates MUST “lock” their choices after mock seat allocation. If candidates do NOT lock their choices, last saved choices will be locked automatically in the last minute of last date of choice filling. Candidates will NOT be able to change their choices / preference order after locking. A candidate who has been allocated a seat is allowed to download the “Provisional Seat Allocation Letter” and an e-challan for remittance of seat acceptance fee. The seat acceptance fee will be adjusted against the admission fee by the admitting institute. Seat Acceptance Fee is ₹35,000 (₹15,000 for SC, ST, GEN-PwD, OBC-NCL-PwD, SC-PwD and ST-PwD candidates). Candidates should remit seat acceptance fee using the e-challan or using SBI Net Banking and report at a Reporting Center for document verification before the last date. Failure to report in person for seat acceptance will be considered as if the candidate has rejected the offer. Candidates are required to bring the set of Original documents (wherever applicable) along with one set of self-attested photocopies, to the reporting centre. Seat will be confirmed by the Reporting Centre after verification of the original documents and ensuring that the candidate meets all the eligibility norms. Candidates who reject allocated seat cannot participate any more in Joint Seat Allocation for the ensuing academic year 2018-19. For payment of seat acceptance fee, candidates should either use the e-challan of SBI downloaded from the JoSAA portal or use SBI Net Banking facility available on the JoSAA portal. Candidates have to remit seat acceptance fee only once. Thus, candidates who are allocated another seat (because they chose the float or slide option) do NOT have to pay seat acceptance fee again. Candidates who remit seat acceptance fee and do not report in a reporting centre will be treated as rejecting the offer. 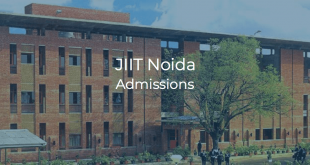 When a candidate chooses float option, if the candidate is allocated a seat in an IIT in one round and in a NIT/IIEST/IIIT/GFTI in a subsequent round, then the candidate has to report once again for document verification and seat acceptance at a reporting centre of NITs. 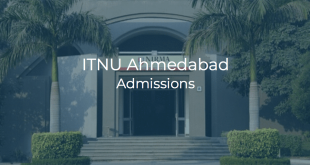 If a candidate is allocated a seat in a NIT/IIEST/IIIT/GFTI in one round and in an IIT in a subsequent round, then the candidate has to report once again for document verification and seat acceptance at a reporting centre of IITs. If not, such candidates will neither have the seat accepted the first time nor the seat allocated in the subsequent round. These candidates will not be allowed to participate in joint seat allocation in any of the subsequent rounds, if any. Certificate for Persons with Disabilities (if applicable). The certificate will be rejected if the disability is less than 40%. Candidates accept the offered seat and indicate that they are content with the allocated academic program and that they do not want to participate in further rounds of seat allocation. Such candidates will NOT be considered in subsequent rounds of admission. 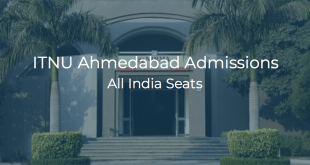 Candidates accept the offered seat and indicate that, if admission to an academic program of better/higher preference in any Institute is offered, they will accept it. Else, they will continue with the currently accepted academic program. Such candidates will be considered in subsequent rounds of admission. 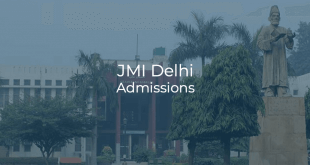 Candidates accept the offered seat and indicate that, if admission to an academic program of better / higher preference is offered within the same Institute, they will accept it. Such candidates will be considered in subsequent rounds of admission. A candidate, who has already accepted a seat allotted by JoSAA 2018, can withdraw the seat by reporting at a reporting center before the last round of seat allocation. Candidates who have exercised withdraw option will not be considered for subsequent rounds of seat allotment. Seat acceptance fee will be refunded to these candidates after deducting the processing charges of ₹1500. There is no option of withdraw of an accepted/allotted seat after the announcement of last round of seat allocation. Candidate who remit the seat acceptance fee but do not report at a reporting centre will be treated as rejecting the offer and seat acceptance fee will be refunded to them after deducting the processing charges of Rs.1500. Candidates who have already accepted a seat allotted by JoSAA 2018 and withdraw the seat before the last round of seat allocation will be refunded the seat acceptance fee after deducting the processing charges of Rs.1500.